Is there a movie you like that no one else gets? Or hasn't even heard of? Cinema Limbo is the home for movies whose time has come for revaluation. Hosted by Jeremy Phillips. 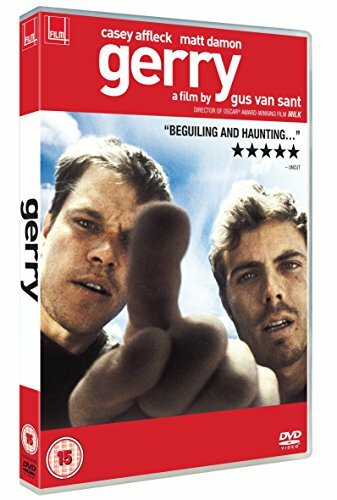 Jeremy and Chris Arnsby voyage into the infinite emptiness of the desert to discover Gerry, the 2003 experimental drama directed by Gus van Sant and starring Casey Affleck and Matt Damon, as part of a discussion that covers Stephen King, European Vacation, The Goon Show and Ray Mears. There's some addtional reading, with a contemporary interview with Van Sant here, and a more in-depth review is here.